The Update International KP-10 cimeter knife is best suited to cutting meat. It is designed with a curved, 10-inch blade constructed of German high-carbon steel that takes a sharp edge and resists bending. 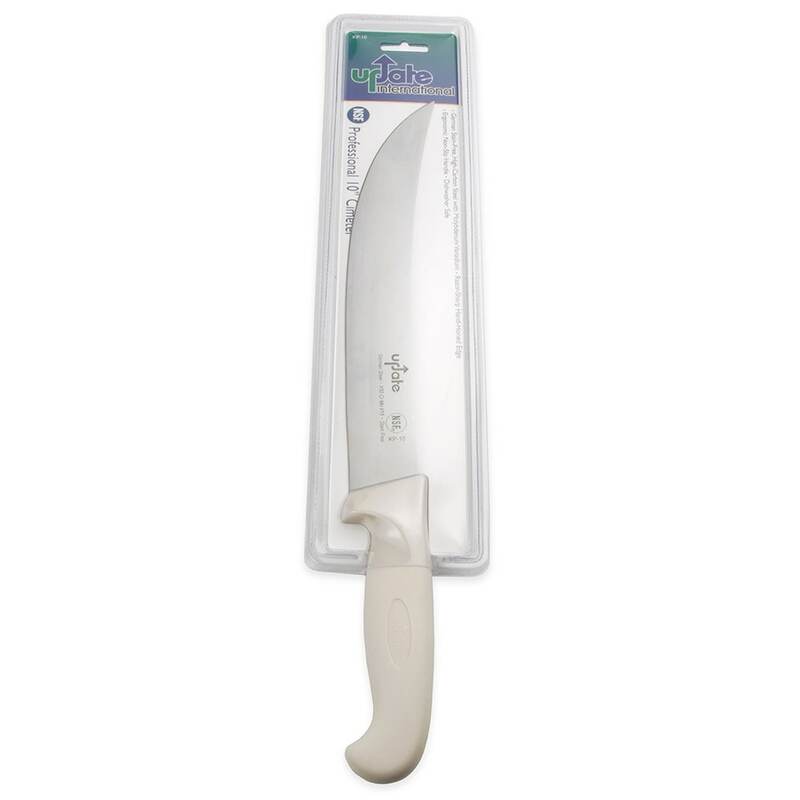 This knife has a white polypropylene handle that is easy to clean and holds NSF approval for sanitation. "I would recommend this knives"
"eassy to cutup chicken 26 this year."